Early 1950s. In the early days the celebs and the paparazzi get along swimmingly. It’s a win-win situation, trading poses for publicity. 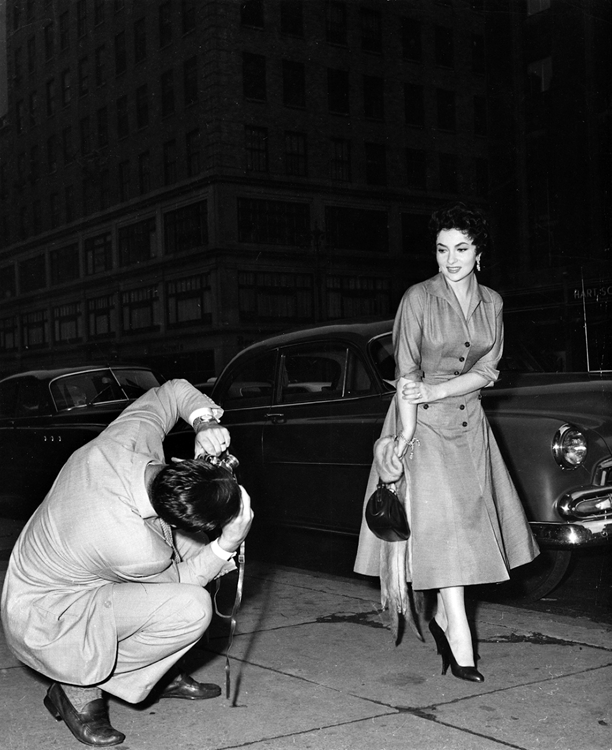 Here, Gina Lollobrigida is happy to pose in her elegant New Look outfit for a street photographer. Globe Photos and Keystone agency stamps on the back of the photo.